In the US, only a small percentage of the population doesn’t have some form of air conditioning. Most of this is in the North, while nearly 100% of people own AC units in the South. The federal government recommends that you replace your AC unit every 10 years, and with old refrigerants being phased out (and stopped entirely by 2020), you are likely to need to change your old unit for a more modern version. If you are thinking about an AC replacement in Las Vegas to get a more high-efficiency model, here are some hints and tips that could make the whole process much easier to navigate. Do You Need AC in Las Vegas? In Nevada, there are no rules requiring AC units to be changed regularly, and in fact only in North Las Vegas are there any requirements about having air conditioners installed in homes. The city code requires that homes be cooled to a maximum of 70 degrees. However, the cities of Las Vegas, Mesquite, Henderson and Boulder City have building codes that only require heating, not air-conditioning. This means that you are not obliged to have AC fitted into your new home when you buy it. However, with almost 70 days of temperatures over 100 degrees in Las Vegas Valley, it is recommended that you have some form of AC unit, or you could bake in a house during the summer months. With attics heating up to 150 degrees Fahrenheit, you could become one of 10+ people who die in the Clark County area from excessive heat every year. Why Do I Need An AC Unit? You will be able to sleep better. Your body is supposed to cool down as you get ready to sleep, making an AC unit vital in the summer. Prevent illness. Warmer body temperature helps bacteria and viruses to spread. Keep cool to stop these nasty illnesses in their tracks. Improve air quality. AC units are great at keeping bad smells and noxious fumes to a minimum. These can affect your respiratory system, and an AC unit can mitigate these problems and boost your air quality. Is It Time To Replace My Unit? If you have an air conditioning unit already in place, then knowing when to change your AC unit is very important. Obviously, the recommendation is to replace the unit if it is more than 10 years old. However, even if it is still under that age, there may be certain signs that you need to replace it. The most obvious is that it is not working properly. 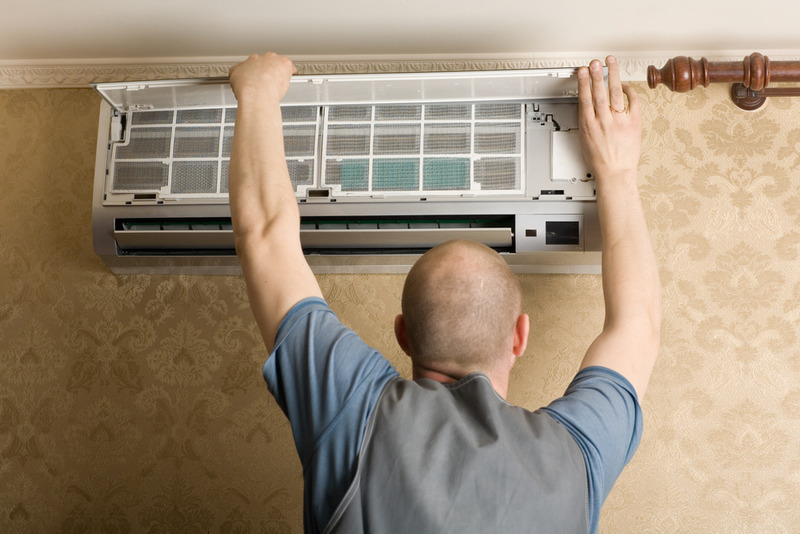 If the AC unit doesn’t cool down your rooms properly, then the unit may need to be replaced. If you have had several repairs done to your unit in recent times, and are struggling to control energy use, then you may also need to replace your unit. When you decide that you need to get a new unit, then there are some things that you need to know about your replacement. Firstly, we recommend that you rely upon big names for your AC unit, and look for one that has a good warranty. You should also make sure that the unit is a suitable size for your property. You want one that is likely to manage to cool down all of your rooms, without excessive energy use. You also need to find a company who can install your unit, remove the old one and fit new coils and fans, all for a reasonable price. Don’t be taken in by excessively cheap AC units and labor costs, as these are likely to result in the unit not working properly and ending up costing you more. When the time has come to fit a new air conditioner into your home, you need a team that you can trust. Air Pro Master is here to help you fix problems with your units, and get you set up with a new a conditioner quickly and easily. We are experienced enough to competently replace your entire unit, from coils to machines, and we can do everything from plumbing, heating and AC installation in your home. If you want to get some advice before you replace your existing air conditioner, then you need to talk to our team about the options available to you. You can do so easily by contacting us online, or by calling us at (702) 935-5622 now.